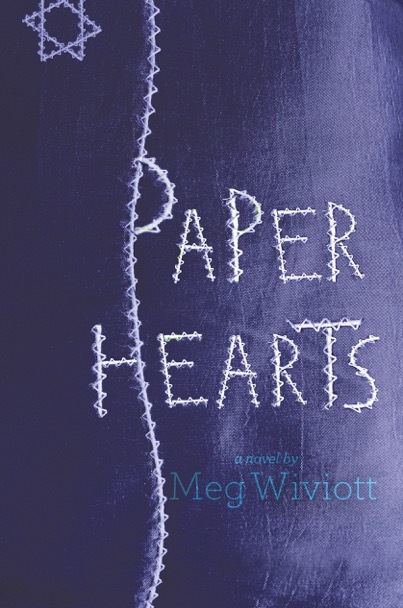 The Whole Megillah talks to Meg Wiviott, author of the new lyrical Holocaust novel, Paper Hearts, due out September 1, 2015 by Margaret K. McElderry Books. The Whole Megillah (TWM): What inspired you to write this book and to write it in verse? 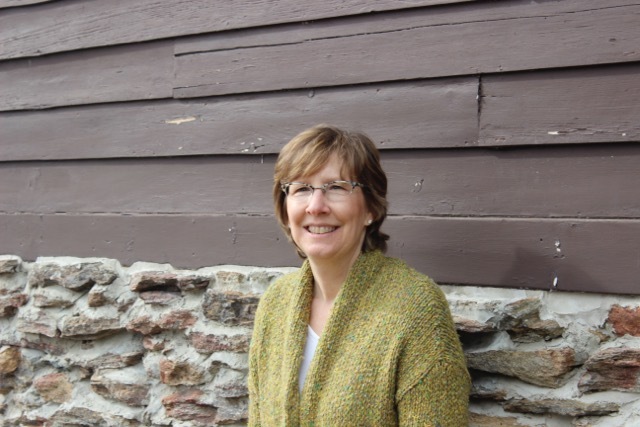 Meg Wiviott (MW): When I first heard about the Heart, I was immediately drawn to Fania and Zlatka’s story. The more I learned about it (see research question below) the more I knew this amazing story of friendship had to be told. I first wrote this story as a non-fiction middle grade, but then decided it needed to be written for older readers. I put it away for about a year or so. While the story was stuffed in a drawer I started reading a lot of verse novels, thinking this would be a good way to tell the story. When I returned to the story I tried straight narrative, but it was too difficult (emotionally) and I got bogged down in a bunch of stuff that didn’t matter. I began writing in verse. Of course, this created a whole different set of problems in that I am not a poet. I had never even particularly liked poetry. It confuses me. So I had to give myself a crash course on poetry and I began reading: I started on page one of the Norton Anthology of Poetry. Modern poets—Billy Collins, Mary Oliver, Elizabeth Bishop—quickly became my inspiration and I would go back to them when I needed to re-immerse myself in the sound. TWM: How did you conduct your research? MW: The first I knew of the Heart was the documentary “The Heart of Auschwitz” (Ad Hoc Films 2010). I read online about their search for the girls who signed the Heart and the release of their film. I then looked at the Montreal Holocaust Memorial Centre’s website and read everything they had posted about the Heart and Fania and Zlatka. They also have a film clip of Zlatka talking about the Heart. My next step was to travel to Montreal to visit the museum and to talk with one of the film makers. After watching the film, I was hooked. I then began reading. There’s an extensive bibliography included in the book, but I read as much as I could about Auschwitz, the Union factory and the deals the Nazis made with private industry to use the prisoners as slave laborers, the death marches, and survivor stories—from the Union Kommando, the orchestra, and the Sonderkommando. Both Fania and Zlatka made Shoah testimonies. Zlatka’s was done in Spanish so a friend and I went to Rutgers University and she listened to the tape, translated, and I took copious notes. Fania’s testimony was done in Yiddish, so I had to hire someone translate and transcribe her testimony for me. In both cases, hearing their voices—in the testimonies and in the film—made them real. I could then begin to hear their voices in my head. TWM: How long did it take you to write? MW: I wrote the first draft through the fall of 2012 and winter 2013. I sent it out to my beta readers in the spring, did revisions, and had a presentable version to take the NJSCBWI Conference in June 2013, where I met my agent, Janine Le. TWM: Please describe any challenges in selling a book in verse. MW: I didn’t face any challenges in selling a book in verse. Especially this book. The verse suits the story. TWM: How do you think your MFA helped you write this book, if it did. MW: I could not have written this book without having earned my MFA! At VCFA (Vermont College of Fine Arts) I learned about metaphor, symbols, objective correlative, elision, white space, trust, bravery, self-confidence, friendship, and community. TWM: Did you receive any resistance to writing a Holocaust-related book? MW: I received more resistance to Benno and the Night of Broken Glass. The only resistance I encountered to Paper Hearts was from a Jewish agent who would not read the manuscript because she didn’t represent Holocaust books. TWM: What was your thought process in composing these poems? Some have distinctive forms, like the left-right formatting for Selection, and the column format for train-related poems. MW: Starting out, I thought of the poems as vignettes, stepping stones that got these young women through a horrible time in their lives. We all know the adage, Show don’t tell. The concrete poems—the three Train poems, Triangles, and Yellow Triangles—form the shapes of the images being evoked: train tracks, triangles, and a Star of David. Additionally, the train poems have two syllables in each “track” so there is a rhythmic feeling, like a train ride, when reading them. I confess that the ideas for the train poems came from two of my beta readers; one who suggested the rhythm and the other who suggested the concrete format. The Left/Right format is used when there is a death/life moment. In most of the stories I read, survivors recalled the Right as life—the right to live, was how many expressed it. So by using right justification margins, the poems illustrate life. That’s the beauty of a novel verse. TWM: What advice do you have for others considering novels in verse? What advice for those considering Holocaust novels? MW: My advice for anyone considering a novel in verse is to read poetry! Lots of poetry! But, that said, there is a lot of discussion about novels in verse right now. Are they poems or novels? Are they a new genre or just a fad? What is the point of a novel in verse? Are novels in verse just narrative novels with creative margins? Personally, I think some marketer needs to come up with a new term to use instead of “novel in verse.” I am not a poet. However, I write poetically. I borrowed heavily from the world of poetry and from the world of narrative fiction. I like to think of Paper Hearts as a novel with white space. My advice for anyone considering a Holocaust novel is be honest—to your characters and to history. This entry was posted in Authors, Uncategorized and tagged holocaust novels, meg wiviott, novels in verse, paper hearts. Bookmark the permalink. Such honest, informative answers from Meg! A pleasure! I look forward to reading, Paper Hearts. There have been a couple recent, highly-regarded YA novels in verse. Kudos! How did you find beta-readers? Evelyn, the latest issue of Writer’s Digest (October) has an article about beta readers. Check it out. Mazel tov, Meg. I look forward to reading your novel. What’s your email? As usual, Barb, a stimulating interview.